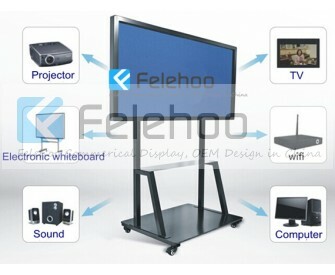 2,Cost effective price with high quality LED Screen. 3,Optional multi-points(2/4/6/10/12/16/32/64 points) touch screen. 4,Support media contents like videos,pictures,flashes etc. 5,Intelligent operation system,easy and fast operation. 6,Support for remote network control. 7,All-in-one, to meet diverse application requirements. 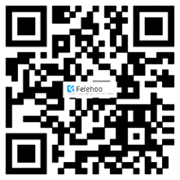 8,Independent research and development of hardware and software,we support customization service. This model has movable bracket:Expansion bearings and their supports shall be designed in a manner such that t he structure can undergo movements to accommodate the displacement determined using the provisions in section without collapse. This kind machine usually built-in PC (D525/i3/i5/i7 processor as follows is optional ), you can consider it as a computer. 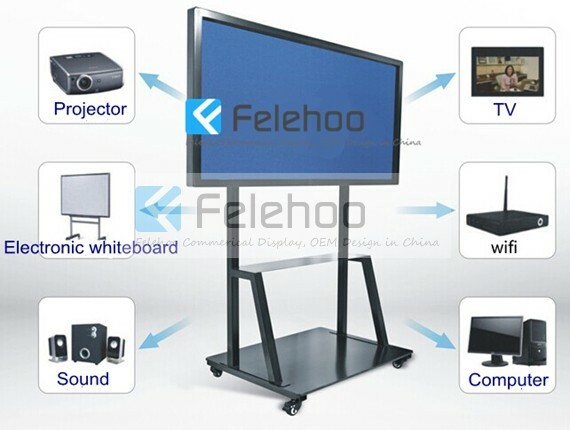 Felehoo offer flexible choose of configuration according to your limited budget,we offer OEM/ODM service for you.We have best price and quality when you offer bulk order,with the cheap shipment by air or by sea. 1,Super touch speed up to 300 dots/second(3ms) brings you an experience of free touch. 3,Positioning precision is limited within 1mm thanks to adapting of AD precision promoting technology and Automatically compensate the touch sensing at four edges,making touching at edges easier. 4,Supporting automatical adjusting of touch according to dust, making less impact caused by dust. 5,Support automatic adjusting to the glare conditions in various environments. 4,Q: what is HS code for your Touchscreen PC? A: 84714190 for Touchscreen all in one PC. 8,Q: Which size of wall mount Touchscreen PC do you have? 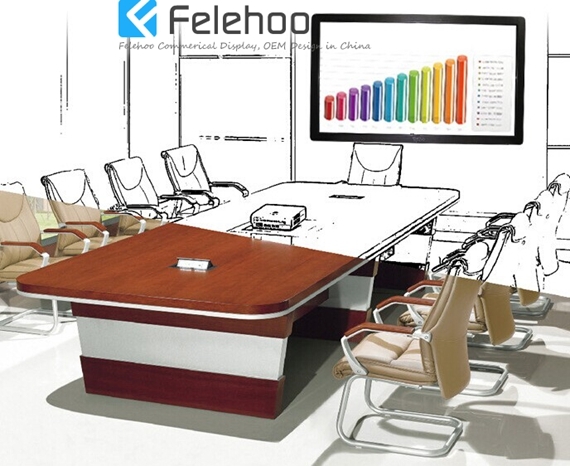 9,Q : Why choose felehoo wall mount Touchscreen PC ?